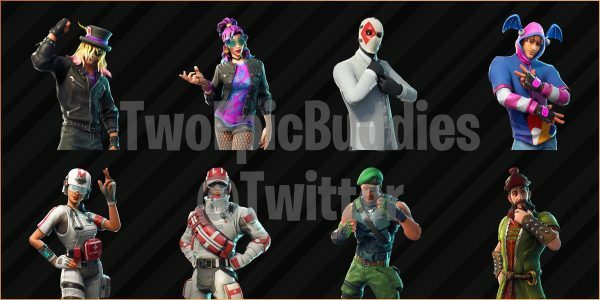 First up are the new skins including a guy in a Slash hat and a girl who looks she’s been plucked straight from an 80s movie, as well as medical types who I’m not sure have ever been to medical school. They’re all smiling, at least. 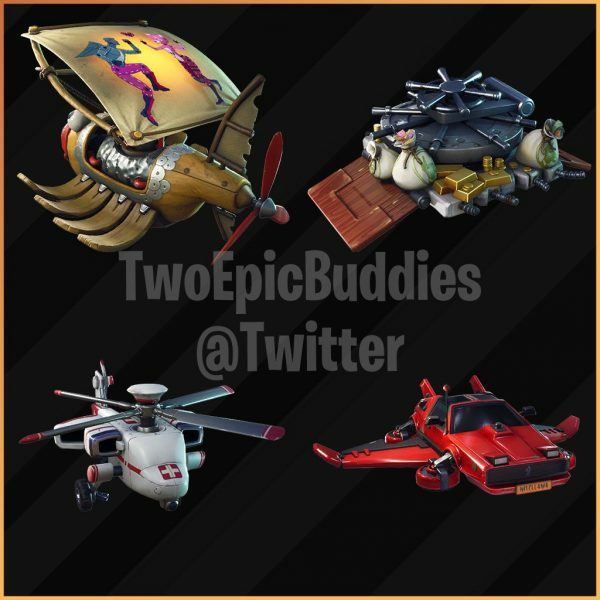 There’s also an update on the gliders with what looks like a red DeLorean, a medical helicopter and two sorts of piratey, cyberpunk-esque styled gliders. 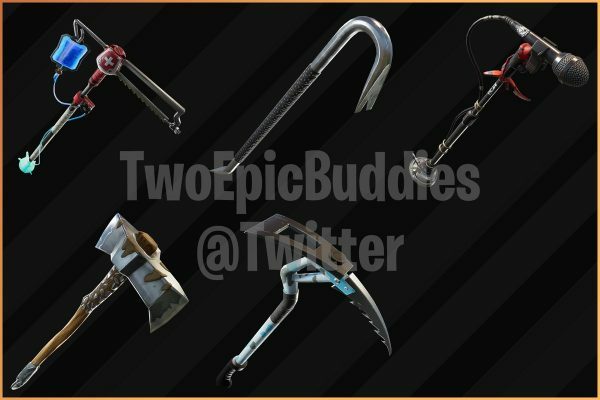 Next are the pickaxes that showcase a scythe, a saw with a medical drip bag attached and microphone and stand; clearly there’s a very 80s music theme and a medical theme coming to Fortnite this season. 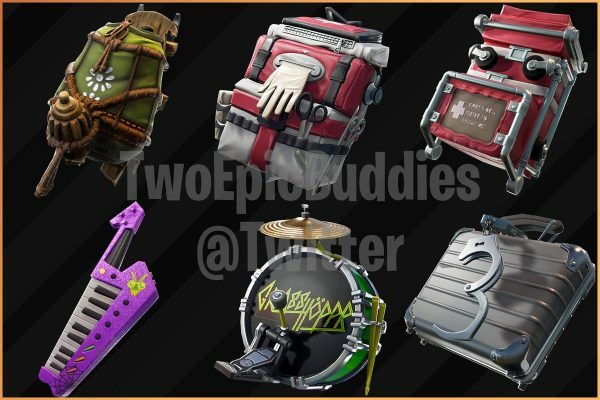 We also spotted some new Back Bling which included an incredible glittery vertical keyboard, a drum kit and a metallic suitcase with handcuffs, as well as some medical gear. 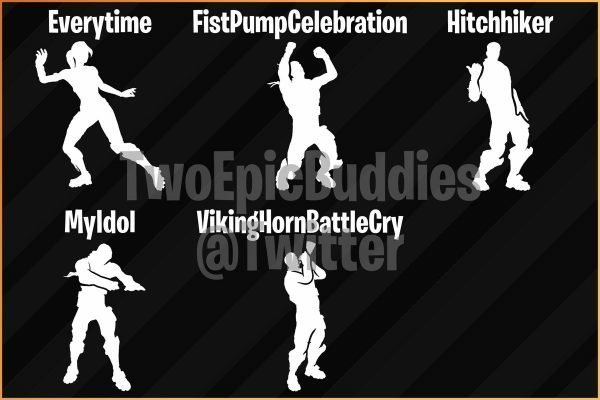 Up next are some emotes including one named MyIdol and another called FistPumpCelebration that looks like a very good time and possibly another dance craze. 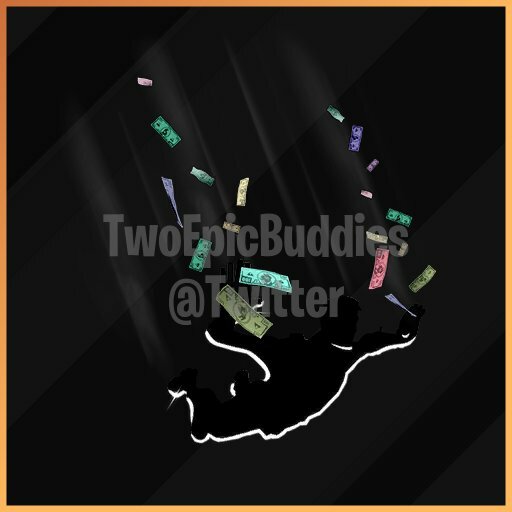 In the final image we see someone mid-drop out of the bus flanked ny some Monopoly money so we can presume you can make it rain in Fortnite. 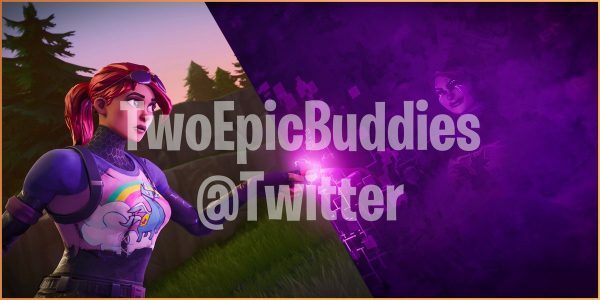 There’s also a closer look at the ominous and elusive cube, where a curious yet startled avatar is touching the cube only to see an evil and slightly demonic version of herself in the reflection – could there be mirrors of players running around the map this time? 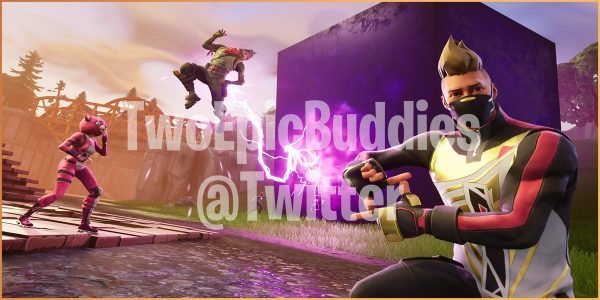 There’s also an image of the cube shocking a guy whilst someone dressed as a bear lingers nearby and a guy making a cube hand signal. 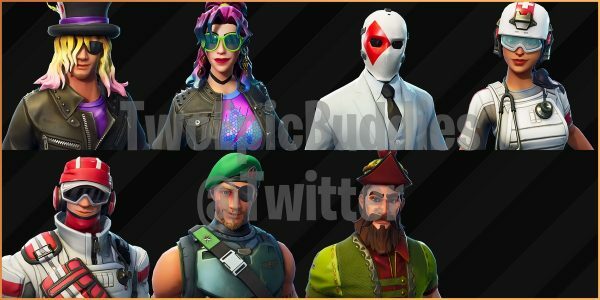 All very intriguing leaks regarding Season 6! You might have also noticed the guy in the white mask from the new High Stakes mode.